This personal documentary is about a 50 year old daughter who brings her 90 year old mother to her home to share her last days and care for her as she dies. It is an intimate story, told in the first person by the daughter, who collaborated in the making of the video. 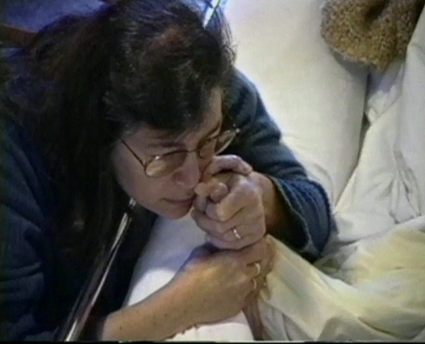 The video also relates the effects of this experience on the daughter and her family.